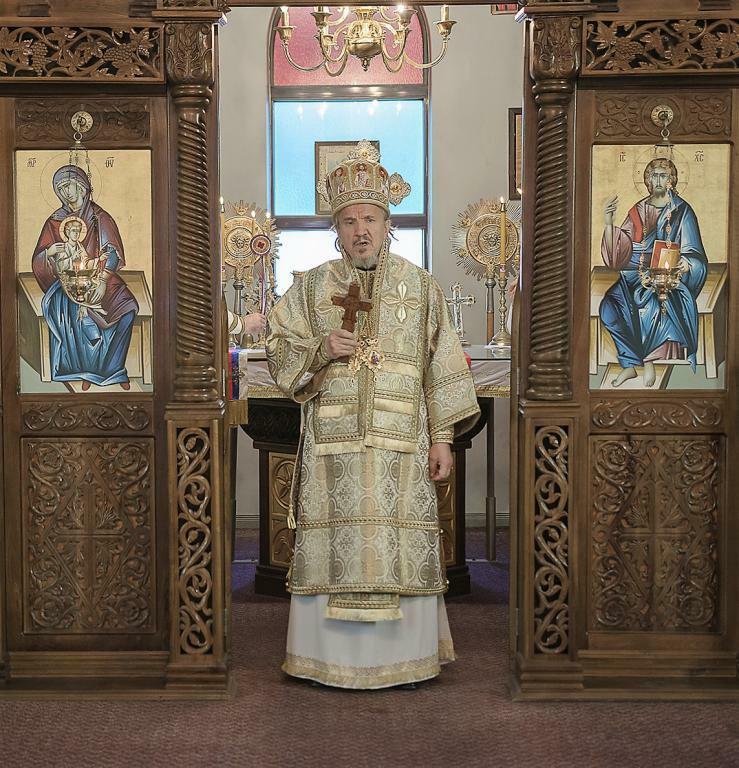 Оn Sunday, November 6, 2016, the 20th Sunday after Pentecost, His Grace Mitorphan, Bishop of Canada, visited the faithful of St. George Church in Waterloo. 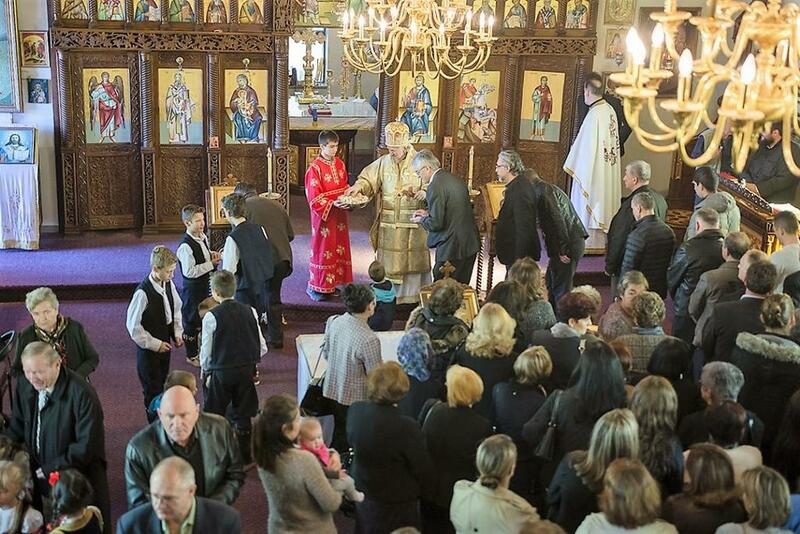 Upon arriving His Grace was welcomed at the entrance of the church by diocesan and visiting clergy, who are visiting Canada from the Fatherland: V. Rev. Stavrrophor Milojko Dimitric from Hamilton, V. Rev. Dragomir Ninkovic from Kitchener, V. Rev. Stavrophor Dragoljub Kostic from Uzica, V. Rev. Stavrophor Bozo Bakajlic from Zemun and the host priest V. Rev. Stavrophor Dusan Gnjatic. 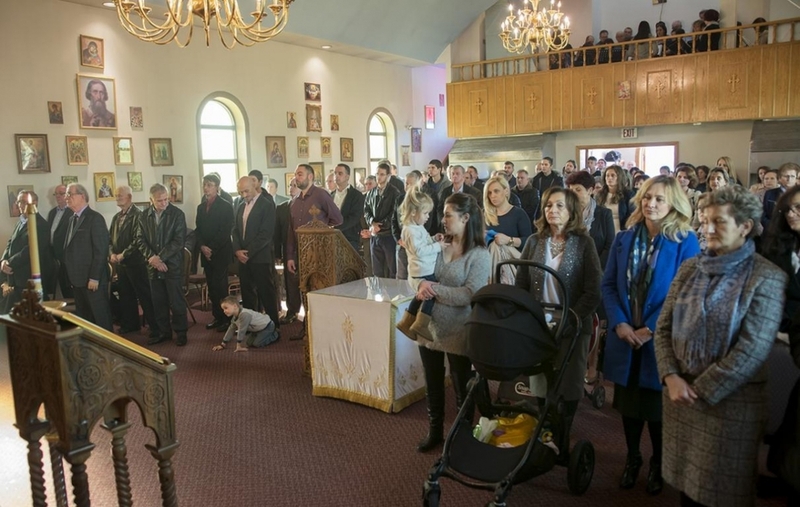 At the Divine Liturgy the St. John of Damascus choir sang the responses as they do every Sunday, assisted on this occasion by the Holy Trinity choir from Kitchener. At ther chanter's stand were theology graduate Milorad Delic, seminarian Mihailo Gnjatic and chanter Alexandar Markovic. At the end of the Divine Liturgy the bishop was greeted by the host priest, V. Rev. 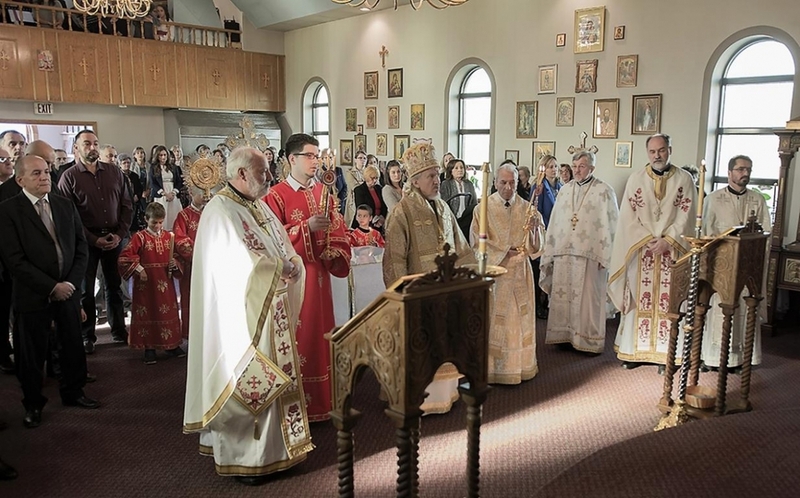 Stavrophor Dusan Gnjatic, who welcomed the bishop and thanked him for his love and taking time out of his schedule to visit the faithful, calling upon His Grace to preach and confirm the faithful in the faith of the fathers, that they might remain on the path of St. Sava. The bishop was grateful for the invitation and preached on the faith we need to have in our Lord Jesus Christ, stating that we at times have sufferings and distress, as well as death in the lives of our close ones, but we cannot be afraid of anything, for the Lord is our Victor, He defeated death, sin and Satan with His Resurrection. Many faithful attended the service from both Waterloo and Kitchener as well as other neighboring cities who came to welcome and greet their new Bishop of Canada, His Grace Mitrophan. There were many communicants at the liturgy. Afterwards an agape meal was prepared in the church hall which was over filled. The folklore group "Gavrilo Princip" added to the festivities with their dancing and singing.